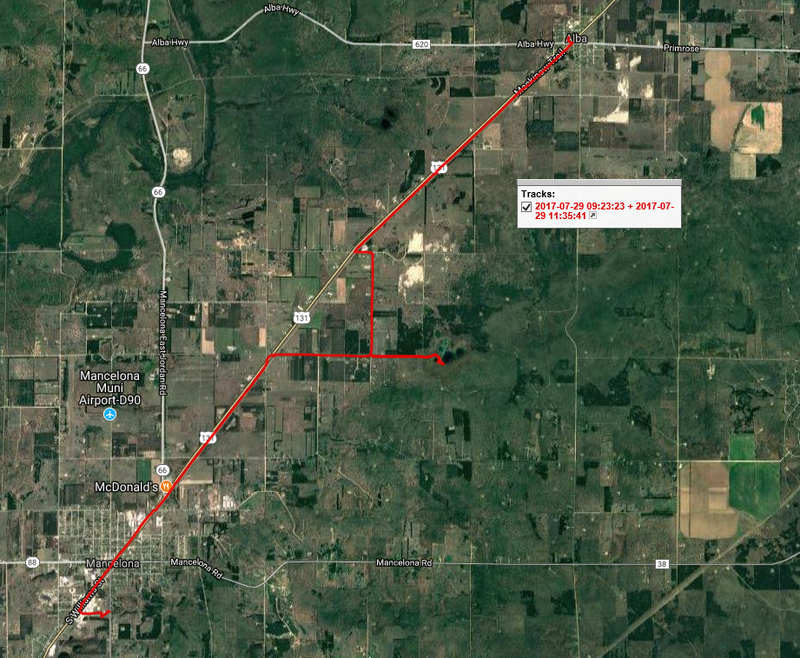 Heart and Sole: Michigan's "Nazca Plain' - Art only visible from space. Michigan's "Nazca Plain' - Art only visible from space. It's a quarter mile across. It's oriented north-south. It doesn't quite have the creative gravitas or the mystery of Nazca's iconic monkey or spider, but there it is. 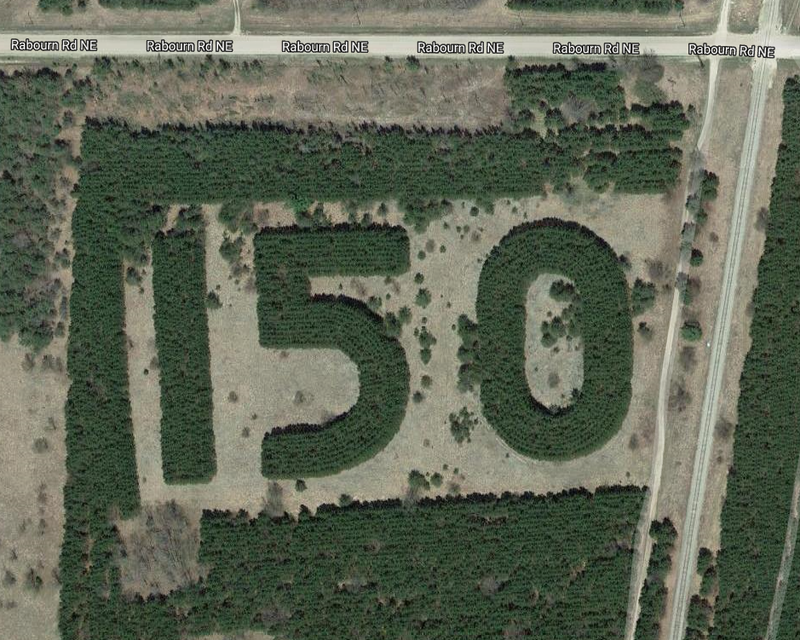 A giant "150" made of planted pine trees in a field northeast of Kalkaska, Michigan and the North Country Trail. Why is it there? Well, unlike Nazca's mystery, this has a explanation. What those foresters did back in 1986 has inspired copycats. 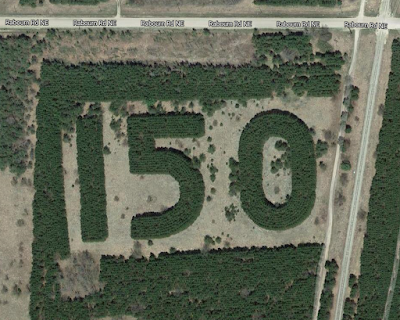 There are three other 'only visible from space' works of art in the area. I'll reveal those as I hike past them, in my next report. 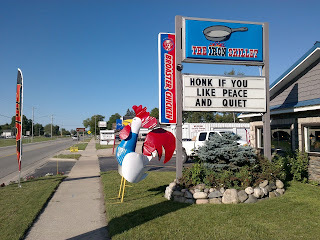 Two other items caught my eye while I was trail scouting around Kalkaska, this time not using Google Maps, but driving. First is this wonderfully ironic sign. I'm a fan of paradoxes, both for their humor (ignore this parenthetical phrase) and for serious insight into the deepest depths of reality. So I had to stop here. 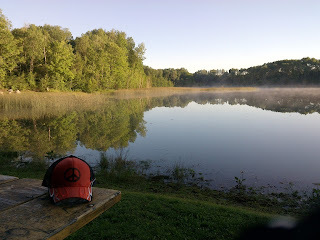 I even included it in my hiking route. 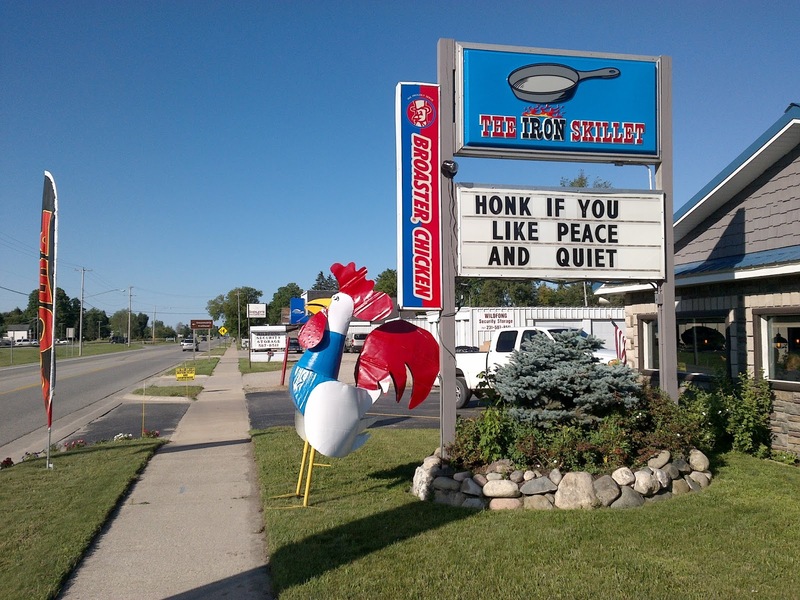 The other quirky Kalkaska landmark I only drove past. 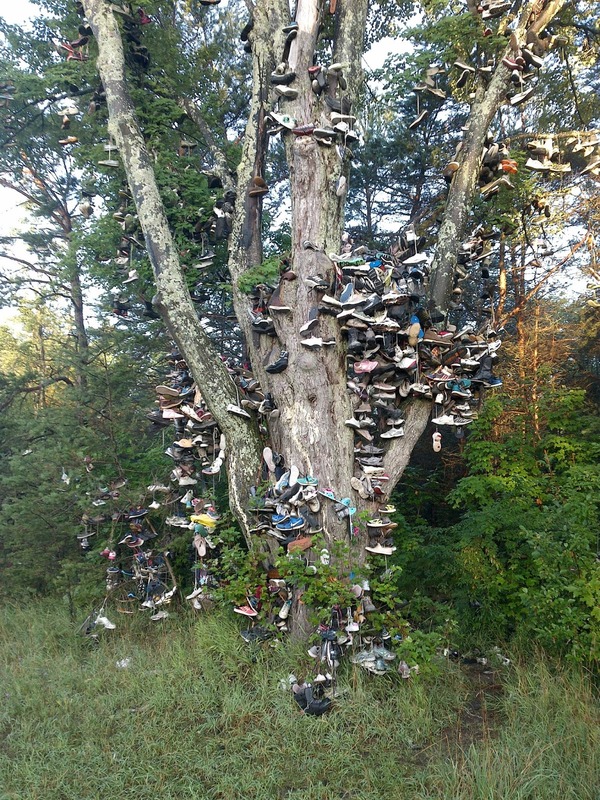 Kalkaska's Shoe Tree is the most famous of its kind in the state. Neel Gap, on the Appalachian Trail, has a hiker boot tree, but this one is mostly sneakers and it's right beside a busy highway. The tree is so popular it even has its own Facebook Page! Why was I doing all this scouting? I was designing my own route through this area, for my own purpose. Not to visit the Shoe Tree or the "150", but to visit a namesake landmark. 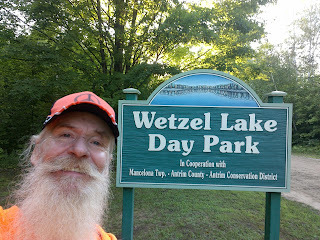 Here I am with the sign, wearing Hat number 35. The lake is a wonderful quiet stop. 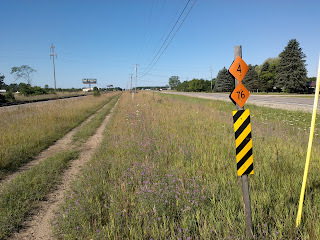 It's only a couple miles from the North Country Trail, and there's a jeep road connecting them. 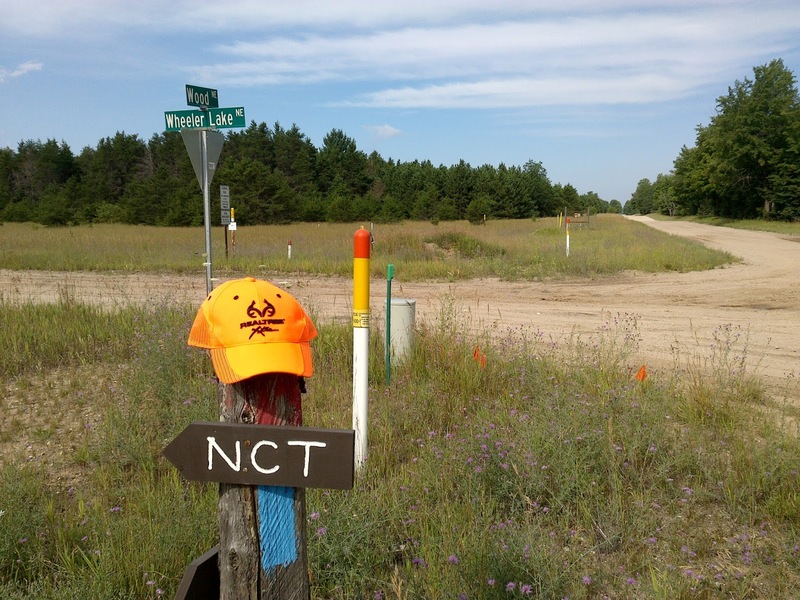 The NCT itself uses a network of these roads in the area, which connect oil wells, and I had hiked them for a while. 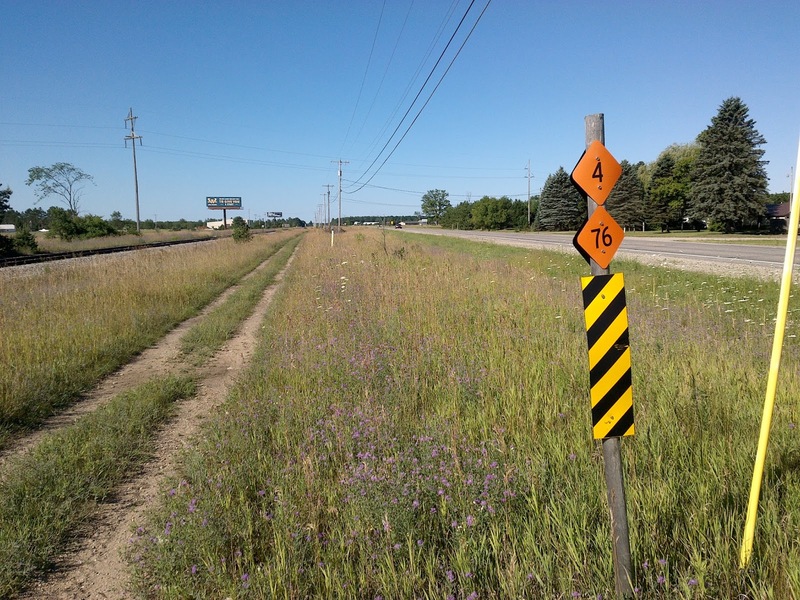 Here's Hat 34 at a well marked intersection. so I could come in from the west and visit the ghost town of Wetzel. As you see, there's some confusion about the spelling here. 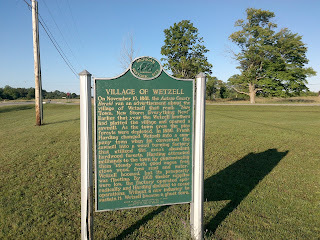 The place name, and street signs, all have a single 'L' at the end, even one right across the road from this plaque, but the plaque suggests that the original brothers spelled their name with two "L's". 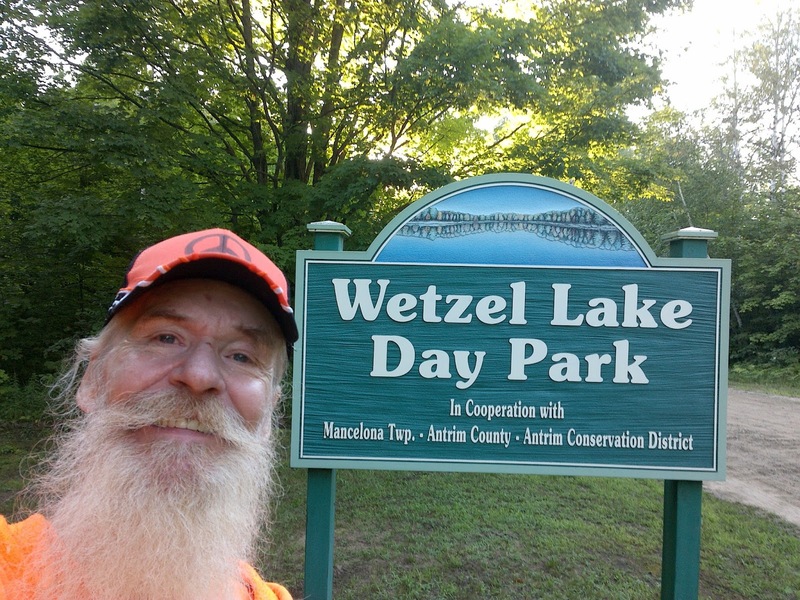 In any case, Wetzel and Wetzel Lake, Michigan were destinations that had been on my radar (a minor bucket list item) for many years. Check. On to the next destination. 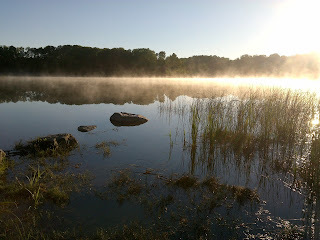 Here are the screen shots of the two days of hiking both on the NCT and abandoning it for that snowmobile trail. On the first one the location of the Shoe Tree is marked with the pink arrow, and the '150' with orange. 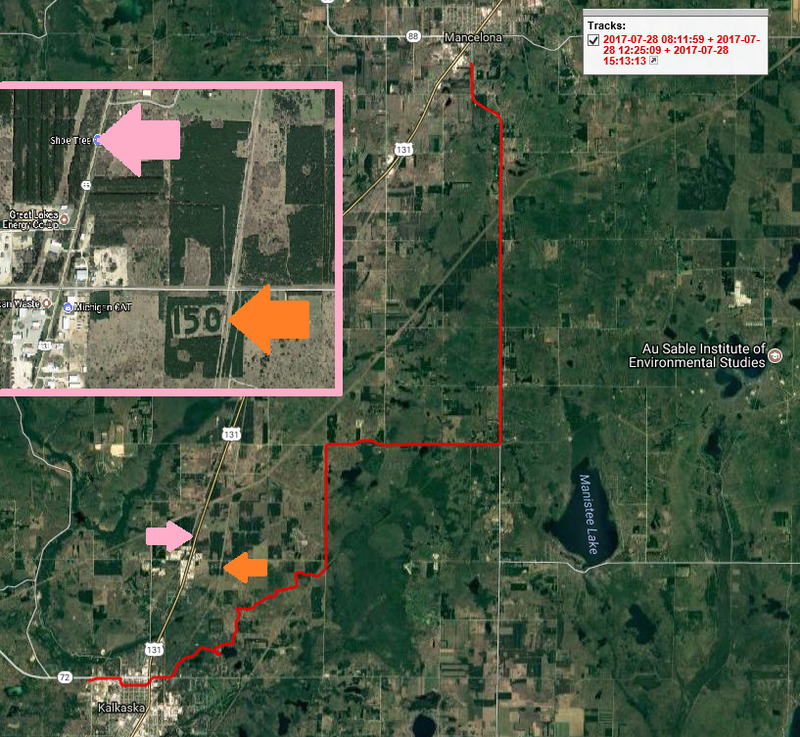 For detail of the Tracks, you can access interactive maps through my Wikiloc Page.